This is all done, using declarative xml syntax. But what if you are forced to create views programmatically? There is no view.setStyle(“NameText”) method, so how do can we define them in code? 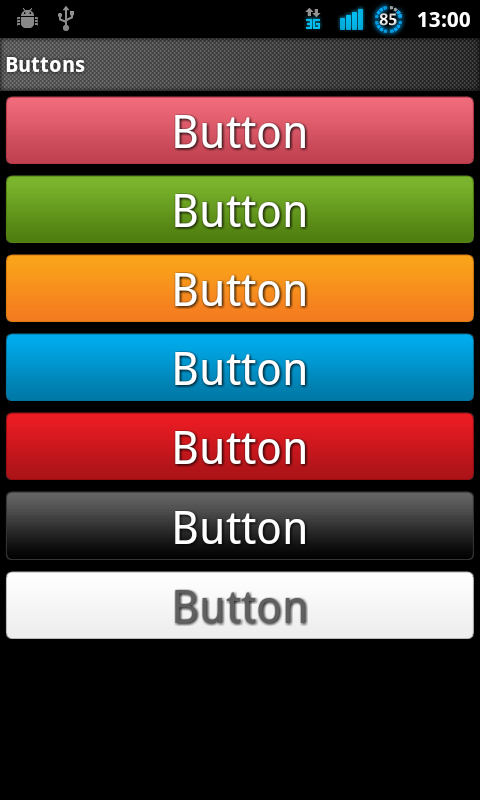 This code is creating a button, using the layoutinflator method. This method is using xml layout template to use a base for the button. As you can see, just a definition of a button with style included. All quit simple but very powerfull. If you’ve to use styling programmatically, this is a option. The downside is that you have to create layouts for each option. But if you’re using just a few options, this surely is the way to go! Besides that, it’s very maintainable. The UI of Google App on the iPhone sohuld be revised to mirror Android’s VoiceSe. Switching from searching ‘Web’ to searching ‘Maps’ is not as easy as it appears to be in Android, and at least not as easy as it sohuld be. That means that if I want to have styles for more than 1 widget I will need to create a xml for each of them? Good workaround. Didn’t think of that. Great Blog/website btw.